The Kymco MXU 150 is a small, lightweight sports/utility quad. 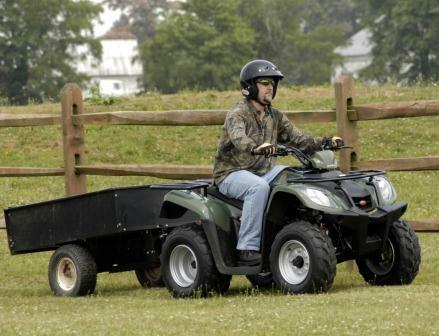 Perfect for smallholdings, stableyards and quad bike centres. The MXU 150 is powered by Kymco's own 150cc 4 stroke engine. This is coupled with an automatic CVT transmission. The Kymco MXU 150 is reliable, comfortable and easy to use. 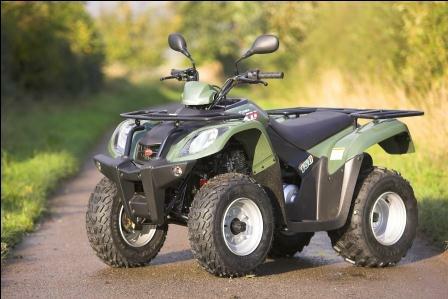 Adjustable suspension, front drum brakes, rear disc brakes, electric and kick start, fully enclosed foot boards, tow hitch, digital display and chain driven. The MXU 150 has inherited Kymco's proven pedigree for build quality and engineering excellence. For this reason they have found a place in the Quad Bike trekking centre marketplace. 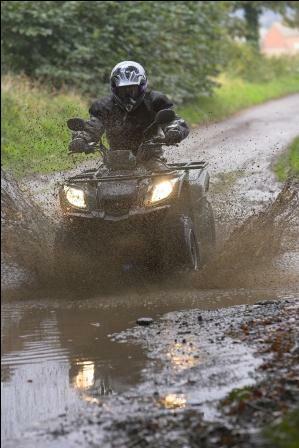 Shropshire Quads has been supplying these quad bikes to activity centres for many years. 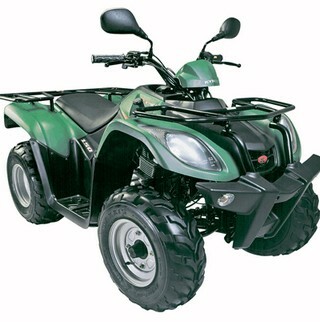 If you are a quad biking centre looking for a new fleet of bikes then please contact us. We have a thorough knowledge of the industry and offer an excellent backup and spare parts service.